The Fringe Festival is truly a citywide phenomenon, sprawling out into Philly’s far corners. While most shows manage to land in a fairly traditional theater space, or at least something that vaguely resembles one, several shows in this year’s fest have found unique homes integral to the stories they’re out to tell. 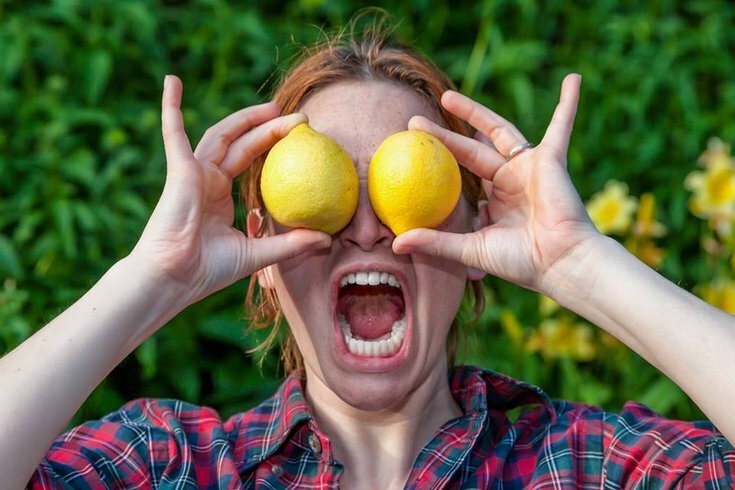 So while you’ll surely find something to enjoy sitting in a folding chair staring at a stage, take advantage of the opportunity to expand your notion of a theatrical experience by picking vegetables on an urban farm or exploring the innards of a historic battleship. 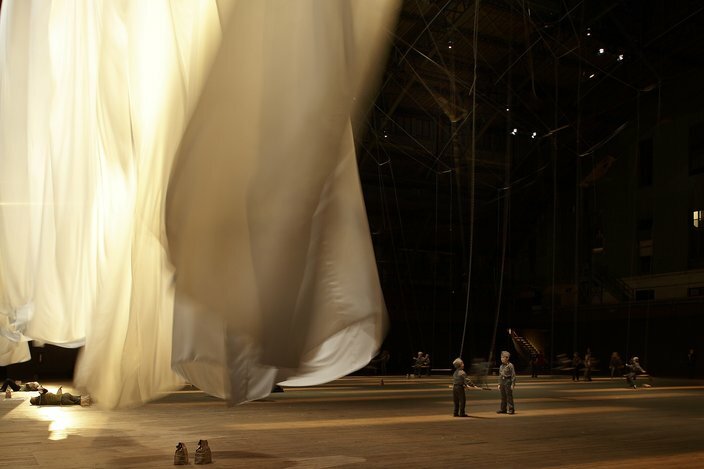 Organized by the Fabric Workshop and Museum, artist Ann Hamilton’s installation piece explores the convergence of the organic and the man-made at a place designed to do the same: Municipal Pier 9 on the Delaware River. On this site where the industrial meets the natural, Hamilton has installed immense cylindrical curtains, which visitors can propel via a pulley system to billow out to their full, enormous proportions. The use of huge swaths of cloth reflect the early and integral role of woven materials in human manufacturing as well as the various places where life intersects with cloth, from the symbolism of the flag to the nurture of a baby blanket. Through Oct. 10, noon-6 p.m., free, Pier 9, 121 N. Columbus Blvd. Four legs good, two legs bad, maybe, but veggies fresh from the ground are delicious no matter your species. George Orwell’s classic tale of a barnyard dictatorship gets a Philly-centric, locavore update thanks to Mike Durkin’s always site-specific Renegade Company. Audiences will gather at North Philly’s Life Do Grow urban farm, forage for food and enjoy a communal meal at the end of the show, which turns the focus of "Animal Farm" from Stalinism to modern food deserts. Shakespeare’s heroines aren’t the most stable bunch in the history of theater, so it’s about time someone found a facility to care for the Bard’s various suicidal and power-mad women. 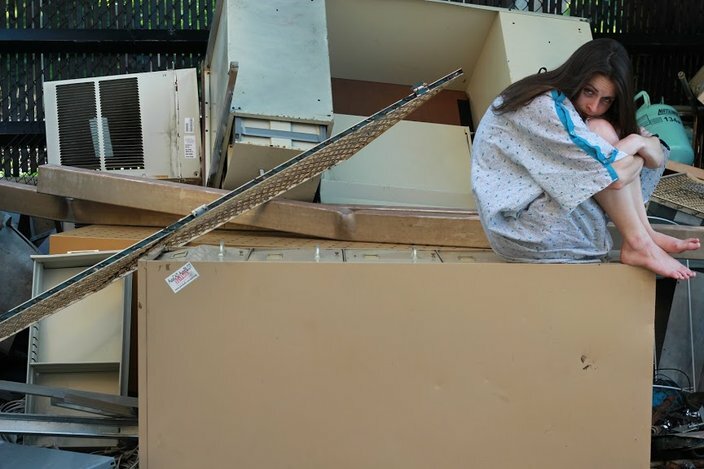 Unfortunately, the best Manayunk Theatre Company could do for Juliet, Ophelia and friends was to throw them all together in St. John the Baptist, a Catholic school that’s sat abandoned since 2006. Surely the decade-decayed remains of a former religious institution can’t be the ideal setting for dealing with lovesickness, paranoia and hallucinated damned spots? Sept. 9-17, $15, St. John the Baptist Church, 146 Rector St. Dancer and movement therapist Jillian Glace welcomes audiences into the intimate space of the Maas Building, a charming cottage incongruously dropped into Kensington. “Two Stories” offers the voyeuristic thrill of watching the rise and fall of a relationship as Glace travels through the cottage’s rooms and its outdoor garden space. Sept. 9-10, 7:30 & 9:30 p.m., $10-$16, The Maas Building, 1320 N. Fifth St.
'Artship Olympia' — featuring, among other art installations, 'Listen to the Whales' by William Chambers — takes place on the 1892 warship Olympia. The oldest steel warship afloat in the world, the 1892 cruiser Olympia, a veteran of the Spanish-American War, gets an eclectic makeover at the hands of 17 artists through the intervention of Philadelphia Sculptors. 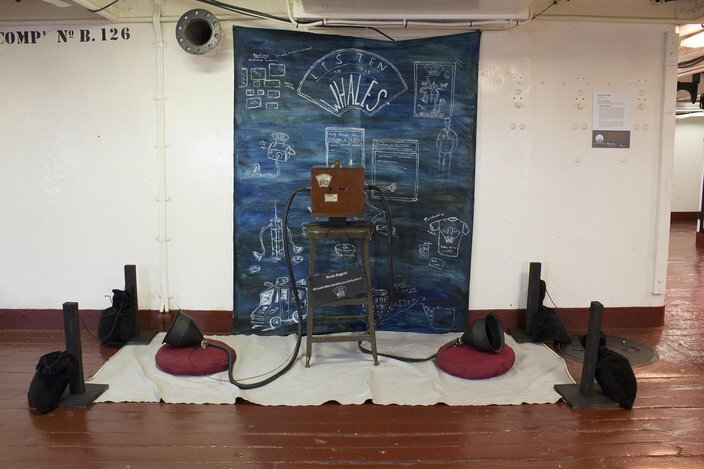 From colorful banners along its deck railings to clay-molded navigational instruments to a meditation on mortality in the sick bay, the artists respond directly to the ghosts of naval adventures past throughout the historic vessel, docked alongside the Seaport Museum. Sept. 9-24, 10 a.m.-5 p.m., free with museum admission, Independence Seaport Museum, 211 S. Columbus Blvd. Hip-hop choreographer Raphael Xavier offers a “Kinetic Experience” in the heart of the city, cramming as much spectacle into the City Hall courtyard as can be contained under William Penn’s bronze nose. The dancer will be joined by a variety of street performers, acrobatic contortionists and even BMX riders, all set to a frenetic score by prolific Philly jazz composer Bobby Zankel. A perhaps over-compensating remedy for those who think nothing ever happens in City Hall. Sept. 10, noon-4 p.m., free, City Hall Courtyard, 1401 JFK Blvd. Ann Hamilton’s installation piece 'Habitus' is on display now at Municipal Pier 9 on the Delaware River.